Jack the Ripper: For 125 years, the name has conjured up images of foggy, smoky, poorly lit alleys where a nameless, faceless predator stalked and killed “Unfortunate” ladies of the night. And, in the main, Jack’s victims were all found in those shady passages, with their throats slit, their lifeless bodies decorated by their entrails, and what few personal effects they owned carelessly cast aside. During the aptly dubbed 1888 Autumn of Fear, both decent and indecent women alike possessing any common sense at all eschewed the unforgiving streets for the safety of “indoors,” where it was thought a monster like Jack wouldn’t intrude. Still, even the most intelligent and cunning person knows he/she must eat and find warm quarters in which to bed down for the night if they are to survive, and to that end, money – ever the root of all evil – was necessary. Most of Jack’s victims found themselves in his horrific hunting ground because they needed money for food or drink or due to the fact that they’d been turned out of their homes. Had they had the means to seek shelter and not been forced to ply the only commodity they had at their disposal – their bodies – their life histories might have been drastically rewritten. Alas, they did not, and their sad remains were all discovered out of doors in public places. All, save, for Mary Jane Kelly, who was found butchered in her own bed on November 9, 1888, in her pathetic excuse for a room at 13 Millers Court. As I often note when speaking about Mary, it would take less time for me to tell you what of her was left intact than it would take for me to describe what was not. The Ripper, simply put, took his time with her. For a full account of Mary’s injuries, please refer to the text of Dr. Thomas Bond’s postmortem report, linked here to the document as it appears on the web site, The Casebook. I’ll wait here. Still with me? Fantastic! Now can we all agree, that of the Ripper’s victims, there was, well, something about Mary that was quite unique? We don’t know much about Mary’s life prior to her taking up with Joseph Barnett, a London fishmonger, in April of 1888, roughly seven months prior to her death. What we do know is predicated entirely on his testimony at her inquest, and his knowledge of her past was based on information Mary revealed to him. How much of her story as she related it to Barnett was true is a matter up for debate. Some of it rings true, while other aspects seem more fanciful. The parts of her story that seem most genuine are that she was of Irish descent and that at least a few years prior to her untimely death, she arrived in London, a handsome – if not beautiful –relatively fresh faced 23 or 24-year-old with the clothes on her back and a pocketful of hopes and dreams. Those same dreams, it appears, would be quickly quashed by the hard, cold realities of life but, by all accounts, her looks and good spirits weren’t as easily vanquished. We do know she was illiterate, as most accounts of her life and death report she was unable to read the newspaper articles about the Ripper and had Joseph Barnett read them aloud to her. We also know she likely had a pleasant singing voice and an often legendary thirst. Finally, we know the life of prostitution to which she resorted was an occupation she’d held in the past, though we can only guess to what extent and in what sort of environment. 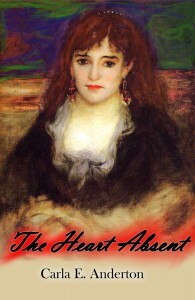 The parts of her story that smack of rumor and inaccuracy are that she was married and widowed in her teens, or that she was either the mother of a small son or the grieving mother of an infant that died at birth, or that at one point she accompanied the artist Walter Sickert – himself a rather farcical Ripper suspect – on a two week jaunt to Paris. These aren’t the only mysteries about her early life which we may never unravel; they are simply the ones I find most interesting. Whatever the truth is about Mary Jane Kelly, today, on the 125th anniversary of her death, we pause to honor her memory.